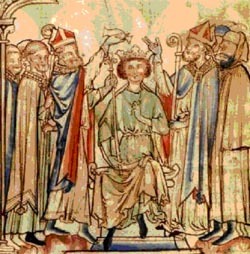 A reconsideration King Edward, the last of the Anglo-Saxon kings, and his place in history. We begin with a look at the state of England in 1005 – the year of Edward’s birth at Islip, Oxfordshire – and the difficult circumstances of his youth, leading to his years of exile in Normandy from 1016-1041. We shall then chart his life as king of England until his death on Jan 5th 1066, the first act in the great drama of that momentuos year, and his subsequent canonisation. Stenton, F., Anglo-Saxon England (Oxford 1971).